I spent a very pleasant Sunday with UNISON members, their families and friends in day of fun to celebrate the Centenary of the founding of the unique Welfare Fund run by UNISON in Dunfermline's Pittencrieff Park. Members participated in a sponsored 5K walk around the park and took part in the various activities arranged for children and family members. The event was opened by John Park, Labour MSP for Mid Scotland and Fife. Two enterprising members from our South Lanarkshire branch were sponsored for cycling the 60 miles from Hamilton to Dunfermline. Activities included bouncy castles and other inflatables, face painting, balloon modelling, children’s races, and a raffle to raise funds for the Welfare Fund’s Centenary Appeal. The new Labour MP for Dunfermline, Thomas Docherty made the raffle draw. UNISON Welfare is a very special service that helps many thousands of members in difficulty every year. In the current financial climate this support could be even more vital in the future. UNISON members at Culture and Sport Glasgow (CSG) are on strike over the holiday weekend. CSG runs libraries, sports centres, museums and community centres across Glasgow. It was established at ‘arms length’ from Glasgow City Council to obtain a tax advantage, to draw in private money and grants from charitable trusts. It has singularly failed to live up to the promises it made. Users experience has been one of cuts in service ranging from reduced staffing to cuts in opening hours. As a consequence there has been very strong public support for the dispute, with people queueing to sign the workers petition. Having made a mess of the finances they are now attacking the workforce. Our members are fighting a 10% wage cut for 150 workers, a pay freeze for all other staff and cuts in public holidays and overtime rates. Glasgow UNISON is calling on people to support their case by sending protest emails to Bridget McConnell, CSG Chief Executive at and to Glasgow City Councillor Liz Cameron, Chair CSG Board. And to those councils who are considering transferring their leisure services to a trust - learn from the Glasgow experience. It is a very bad idea! The Scottish Living Wage Campaign held a conference in Glasgow yesterday. A really useful event that brought together a range of interested groups to hear the latest research and to discuss practical ways to take the campaign forward. The conference also announced an increase in the Living Wage to £7.15 in line with the latest research. Dr Kendra Strauss from Glasgow University introduced her research report showing that 20% of women and 15% of men earn less than £7 per hour in Scotland. More surprising was the finding that nearly half of adults and children living in families with low incomes were in working rather than workless households. On a day when the new UK Work and Pensions Secretary made a major policy speech on poverty, without even mentioning low pay as a factor, this finding is very significant. Less surprising is that rural local authorities had the highest proportion of low paid workers with Glasgow and Dundee the worst urban areas. Women and young people are worst affected and the problem is sectorally segregated, with the food and beverage industry paying the lowest rates. A fifth of all those in low pay are directly employed in the public sector (mostly women) and that doesn't include contractors. Yet CoSLA doesn't believe there is a problem! Richard Leonard put the issue into its historical context, reminding us that a key platform of the ILP was a living wage, along with Wheatley, Maxton and others who campaigned on this issue. He also pointed to the public subsidy low wage employers get from the taxpayer, not least through the £1.3bn in tax credits to the low paid in Scotland. Plus a useful reminder that low pay is often linked to a lower package of benefits including pensions. One in four low paid workers do not have an occupational pension scheme and those who do receive very modest pension payments on retirement. Deborah Littman gave us an insight into the campaign methods used by the London campaign and the second half of the conference focused on how we can use this experience in Scotland. There was a clear understanding that whilst national political engagement is important, we also need to support the local campaigns. This should include direct campaigning with local employers. The London campaign has made a credible business case for the living wage that we can adapt in Scotland. 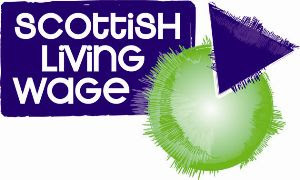 UNISON Scotland has been a key supporter of the Scottish Living Wage and we will be looking at how we can step up our activities in support of the campaign. Not a lot in the Queen's speech that was new as far as Scotland is concerned. Thankfully most of the dafter public service 'reforms' only apply to England, where they appear to be heading for a patchwork of public services, provided by anyone who fancies running them. All very reminiscent of the 19th Century. Ironically it took a visionary Liberal to bring public services together into a coherent local government structure. Not much chance of that today! On Calman the Con-Dems appear to be backtracking somewhat. The modest transfer of powers was the weakest part of Calman and that is likely to be implemented. The taxation proposals are much more radical, although not without their critics. There are also important sections on co-operation between the parliaments, that I hope will not be lost in the debate over fiscal powers. Of course the big issue is finance. The Barnett consequentials of the £6bn UK cuts package are smaller than they might have been, but any cut mid year (albeit deferred) is particularly difficult. There was some better coverage of our economic analysis of the implications in the Sunday papers. More commentators are beginning to grasp that cuts in the public sector has a knock on effect in the private sector through contract cuts. Plus public service workers worried about lower pay and job cuts are not likely to be spending. You don't have to be a Keynesian economist to see the real risk of a double dip recession. It was our annual Labour Link policy seminar at the weekend. Obviously some looking back at the recent UK General Election and the political environment in general. But the main focus was on the vision Scottish Labour should adopt for the Scottish Parliamentary elections in 2011. If there is one message from the positive result in Scotland compared with England, it is that Labour voters cannot be motivated to turn out and vote on a diet of New Labour ideology. Labour's message in Scotland since devolution has been different, and the election result shows that it is more in tune with our natural supporters. So for 2011 we need a bold vision that reflects Labour's traditional values, set in a modern context. We debated a draft submission to the Scottish Policy Forum's second stage consultation document that seeks to do just that. Great decision from the Employment Appeal Tribunal in Edinburgh on equal pay that will benefit thousands of low paid council workers. Many manual workers such as cleaners, cooks and carers have already received compensation, but previous decisions of the EAT removed the right to compensation from thousands of administrators, clerical workers, learning assistants and library staff. In the absence of a proper explanation for the pay differences between women and men, local authorities developed a technical argument that women and men only deserved equal pay if they were based in the same premises or had the same pay and conditions. This argument has now failed. One of UNISON’s largest group of winners from the decision are classroom assistants, many of whom earn as little as £10,000 a year. We estimate that this Edinburgh decision will affect up 70,000 workers across the UK and while claim values will vary from person to person, some will exceed £30,000. "We will promote equal pay and take a range of measures to end discrimination in the workplace." So we look forward to a government minister welcoming this decision. The UK government has today published their full programme for government that expands on the original publication (see UNISON P&I Briefing 231 for my summary), although it is still full of vague commitments, reviews and commissions. There are a few opt-outs for Lib-Dem MP’s, but the parliamentary arithmetic means that the Tory plans on these issues should go through. • Cutting ‘red tape’ through ‘one in one out’ rules and sunset clauses. Inspections to be targeted and greater co-regulation. The real concern here is the downgrading of safety legislation and inspections. • At least the part-privatisation of Royal Mail. • Review all employment laws to ‘maximise flexibility’ providing a ‘competitive environment’. This is self evidently a move to weaken employment protection and move to a US style de-regulated labour market. • Review alcohol taxation. This may impact on the proposals in the Scottish Parliament Bill on minimum pricing. • Cut Child Trust Fund and tax credits for undefined high earners. This reflects an approach of targeted support rather than universalism. The concern is that the aim is to make benefits and public services a safety net for the disadvantaged, by undermining broader public support. • Continue public sector investment in clean coal technology. Plus smart metering and feed-in tariffs. Reviewing the role of Ofgem and the energy market. Nuclear power stations to go ahead. • Consult ‘business’ (not the workers) on extending the right to request flexible working. No prizes for guessing what ‘business’ will say. • Promote equal pay (not clear how) and unspecified measures to end discrimination in the workplace. • Fair pay review to implement the ’20 times’ pay multiple - in the public sector only. • New protections for whistleblowers, but only in the public sector. • Simplify occupational pension regulations. We should be awake to efforts to weaken the rights of pension fund members. For a broader UNISON commentary on the coalition agreement there is an article in the Guardian by UNISON General Secretary, Dave Prentis. We held a leaving presentation for UNISON Scotland's retiring Communications Officer, Chris Bartter yesterday. Chris is a well known face, not just in UNISON, but across Scotland in the media and public affairs world. He has worked for UNISON for 21 years and before that was a leading activist in one of UNISON's partner unions. Union communications have come a long way since Chris started work with us. In those days there was a nervousness about communicating with members, let alone with the wider world. Today we have a range of journals, web sites and bulletins using every available media. Not to mention a high media profile. Chris has been a key driver in delivering these changes and he will be sorely missed. However, not entirely lost to the movement as comrades with Chris's principles and values will always be there to fight the corner of those who need us most. Much wittering this morning from the UK Government about bonus payments to senior civil servants and NHS managers, amongst claims of "bad behaviour, spending decisions taken in the last year or so of the Labour government". I suspect we will hear much more of this as aspects of the Con-Dem budget plans prove to be unsustainable. They should perhaps be careful over condemning bonus payments. It was after all the last Tory government that introduced them along with a whole series of changes that sought to copy private sector practice. Performance Related Pay (PRP) was another, along with managers being given voting rights on the boards of public service organisations. I have negotiated the introduction of these schemes in the public and the private sector. I have seen little or no evidence that these schemes deliver improved productivity. The surprisingly limited academic studies are also at best neutral on the issue. In one private sector sales department I negotiated a very attractive (and costly) bonus scheme. At the end of the first year the league table amongst the sales staff did not change at all - but they all sold less! In the public sector ethos PRP and bonus payments are even less relevant. Some of the Scottish schemes were rightly criticised by the Scottish Parliament Finance Committee last year, in their report on public sector pay. Scottish Water being one of the worst examples. The argument being that they have to 'compete' with the privatised industry in England. Wrong, we have a public water service in Scotland that should be run with a public service ethos. Interestingly the practice of directors voting rights has survived even in NHS Scotland. The Scottish Government, despite many positive NHS reforms, has left these in place. Even after the introduction of pilot schemes for direct election to health boards. Not at all clear to me why ministers have clung on to this Tory practice that does not fit in with their vision of a mutual more democratic NHS. We have the new Prime Minister in Scotland today promising to respect the Scottish Parliament in a meeting with the First Minister and other party leaders. As they are all well used to coalition and minority government, he might benefit from being in listening mode. Some of his messages will be welcome. In particular the implementation of the Calman proposals and his recognition of devolution. No small steps from a party that opposed the whole process and still has MSPs and others who are strongly opposed to any further powers for our Parliament. The tricky bit will be finance. The additional £6bn cuts this year could have Barnett consequentials of up to £600m. particularly devastating after a tricky budget has already been set. The First Minister will have his own list of financial requests. Bringing forward capital spend and a share of the Olympic spend might be stretching it a bit, but he has a good case on the Fossil Fuel Levy cash. The impact of the current spending cuts is already beginning to hit hard. Our big story yesterday was 1250 jobs going at NHS Glasgow & Clyde Health Board. Health spending has been the most protected area of the Scottish budget yet we are now looking at up to 5000 jobs going across NHS Scotland. And that is before the Tory/Lib Dem additional cuts kick in. You can't make pious pledges about supporting the NHS and then preside over spending cuts. If that is 'New politics' then you can keep it! So it is to be a Con-Lib coalition. Much talk of new politics from a rather similar group of public school, Oxbridge educated men. Looks much more like a typical establishment government than any new politics. Looking at the cabinet appointments there is also a concern that we have the economic right wing of the Liberals joining with the Tories. For example David Laws, author of the Liberal Orange Book, is probably further to the right than some of his Tory colleagues. He favours dismantling the NHS, so I suppose people in England should be grateful he isn't the Health Secretary! In this context we should be particularly grateful that we have devolution in Scotland. The Tory plans for schools and hospitals appear to have largely survived the agreement and will result in the effective privatisation of these essential public services south of the border. But Scotland will not be exempt from the worst aspects of this deal. In particular the agreement confirms that there will be an emergency budget and a further £6bn of cuts this year. We will need to see where these cuts fall for the Barnett consequentials, but it will be a further blow to public services in Scotland. Establishing an independent commission to review the long term affordability of public sector pensions, while protecting accrued rights. We will need to see just how 'independent' this review will be and what its remit will be. Annual limit on non-EU economic migrants. Difficult to see how this will work in Scotland and the impact on areas like the care sector could be significant. Ending detention of children for immigration purposes is of course welcome. Commission to consider the ‘West Lothian’ question. Implementation of the Calman commission proposals. On a straight read this means all of them, but we will see. Working to limit the application of the Working Time Directive. Part of a strong anti-EU tone to the document where the Lib-Dems appear to have almost totally capitulated. “We now face our biggest challenge ever. Without a strong union, no public service will be safe from privatisation and cuts. Without a strong union, no public service worker’s pay and pension will be secure. A good night for Scottish Labour. Biggest party, increased share of the vote and winning back the two by-election losses. The magnitude of the result was impressive and some very good new MPs to argue Scotland's case at UK level. Not so good south of the border, although a year ago not many would have bet on the Labour vote holding up this well. We will need to await the outcome of the negotiations but this is not the disaster some in the media would have us believe. In Scotland the political parties have managed no one party having an overall majority perfectly well for years, with both coalitions and minority government. The sky hasn't fallen in and it won't at UK level either. The key issues remain steering us safely out of the economic recession and protecting our public services. The one outstanding result that almost everyone can welcome is the trouncing of the BNP. Yet again they came nowhere in Scotland and to see Griffin's face as he was rejected, along with his rabble of council candidates, in Barking was one of the real highlights. This has not been the most inspiring election I have been involved in. The 'XFactor' election has promoted style over substance and all the parties have favoured negativity over their positive messages. None the less the outcome could not be more important for the UK and Scotland. Either we will re-elect a Labour government that has proven they can fight for working people, or tomorrow we will see a Tory government take charge. I am certainly not saying Labour has been perfect, but let's not take for granted the changes we've seen over the past years. Trade union members and their families need a government that will make fairer choices on the economy and that is Labour. I was in the Scottish Parliament yesterday giving evidence to the Transport, Infrastructure and Climate Change Committee on the budget strategy. Part of a panel representing Stop Climate Chaos Scotland, a coalition of more than 60 organisations with a combined supporter base of over 2 million people in Scotland. The committee was concerned that the financial crisis will be used as an excuse to drop or at least downgrade actions to tackle climate change. There is some evidence that budget cuts will impact on this, and in particular, the availability of funds to spend and save. I argued that tackling climate change was an opportunity not a cost. Energy efficiency, active travel and green workplaces can all contribute to more efficient as well as more environmentally friendly public services. The public sector has to lead by example and early action is cheaper than delay as highlighted in the Stern Report. A particular concern is procurement where centralisation is damaging the prospects of smaller local suppliers. I gave some current examples including the proposal to source books for libraries and schools from one supplier. In practice that means from outwith Scotland with a much greater carbon footprint. This committee is also responsible for Scottish Water and therefore I warned against proposals to privatise or mutualise Scottish Water. Selling off our water and sewage industry at a cut down price, dumping debt, dividends, profits and fees on the charge payer would be a real stealth tax. Water is probably Scotland's greatest asset and at a time when countries across the world are returning to public ownership, it would be plain crazy to even consider privatisation.